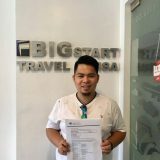 BIGStart is the premier Visa assistance agency with main office in Cebu City and serving the needs of Visa-seekers within the Philippines, and even beyond our islands through the worldwide web. It is composed of visa immigration experts and career professionals engaged in the work of bringing couples and families across different cultures and countries together. 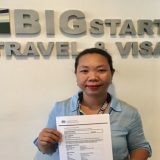 BIGStart has had considerable success in having individuals seeking Visas into foreign countries as fiancee, spousal, students and tourists through their comprehensive approach to Visa application and preparation process. BIGStart is headed by Marlon S. Tanilon, who possesses expertise in visa immigration consultancy experience. He is ably assisted by a team of dedicated professionals with expertise ranging from legal representation, foreign immigration consultancy and visa assistance. 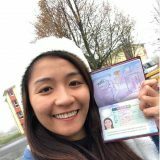 To assist the value-driven Filipino in realizing their dreams of going abroad or the foreign guest desiring to visit our islands by providing a professional, thorough and pro-active Visa assistance in the most cost-efficient and economical way possible. We aim to achieve this by thoroughly organizing and presenting their personal and professional credentials when seeking Visa approval to the various Visa-granting countries where they intend to go. We further seek to serve the global professional by providing avenues where they can be more competent and employable through linkages forged with various learning institutions across the globe. We will continually strive to offer services that will meet these needs and enhance the pre-traveling experience of the global Filipino and visiting foreign nationals. It is the vision of BIGStart to make Filipinos a recognized and indispensable part of the global community; and the Filipino expatriate a well-respected, dignified and welcome guest wherever they may go in the world. We look forward to becoming the preferred Visa partner for foreign nationals desiring to visit our beautiful islands.